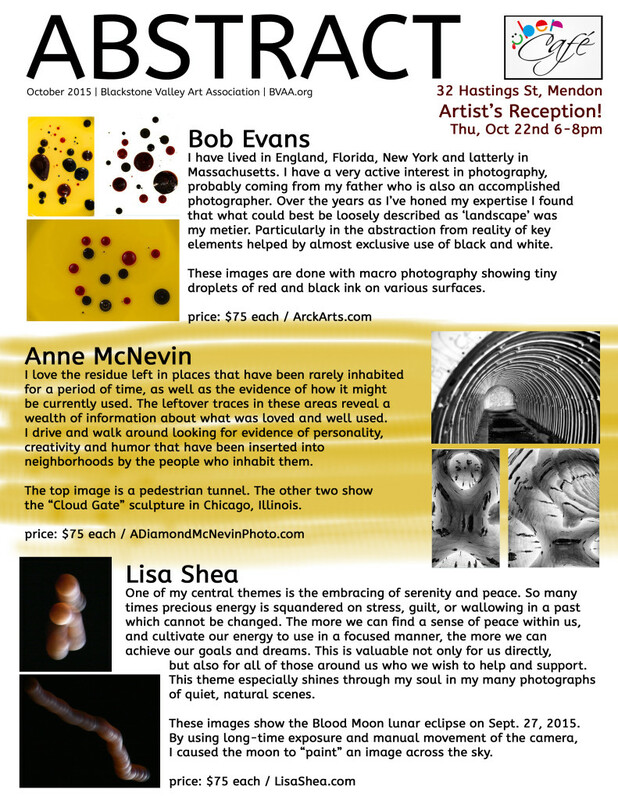 BVAA members Bob Evans, Anne McNevin, and Lisa Shea have an “Abstract” show running for the month of October at the Uber Cafe in Mendon. It’s located right on Route 16. The reception for this show is Thursday, October 22nd from 6-8pm. Come on out and support your fellow BVAA members! Then another trio of BVAA members have a show coming up for the month of November. Here’s the flyer for the October reception!